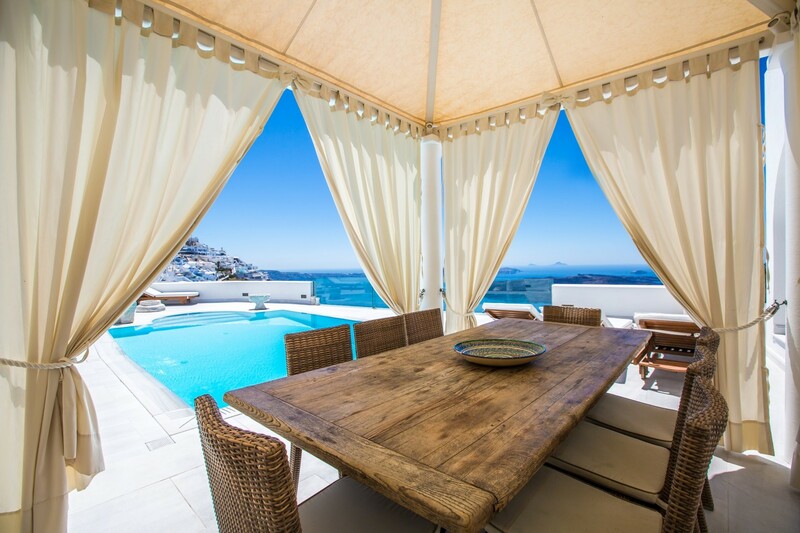 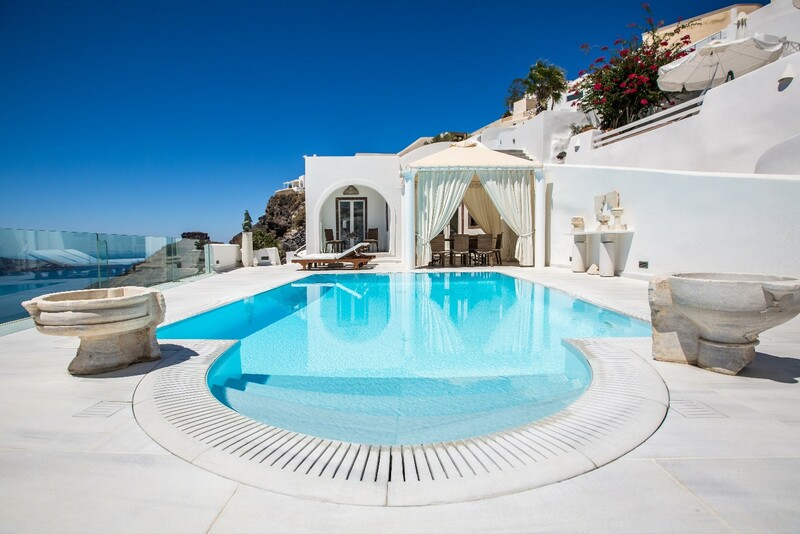 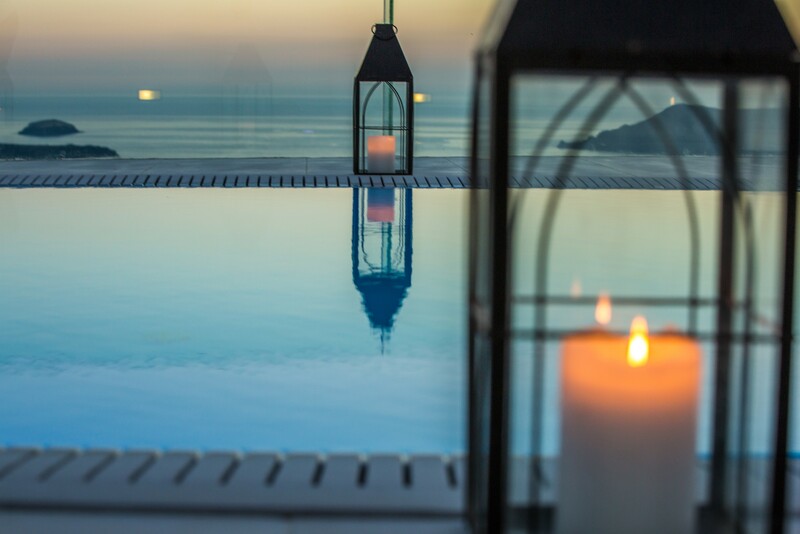 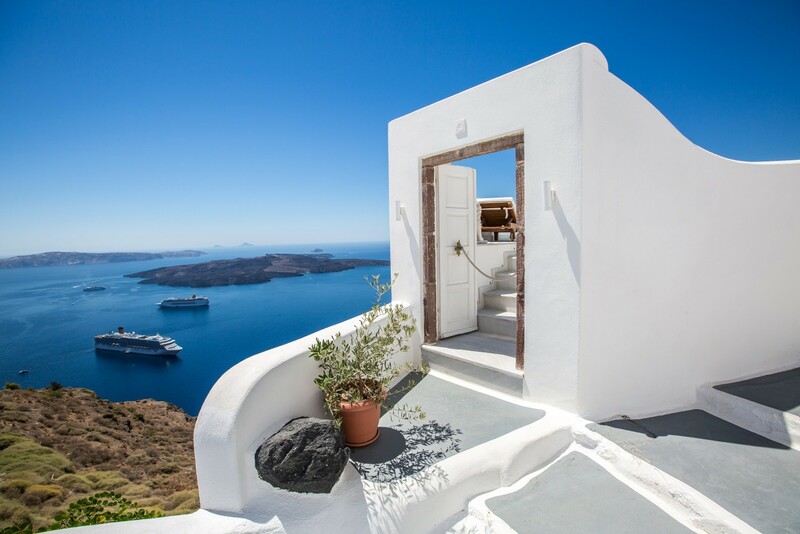 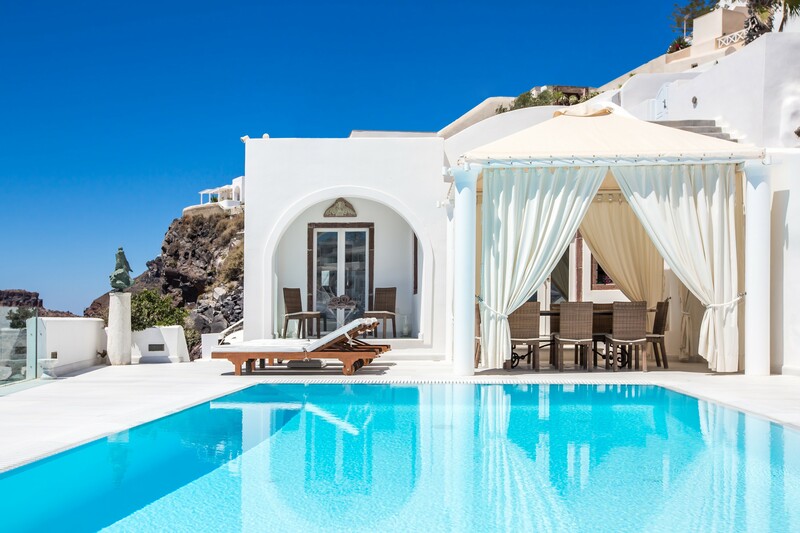 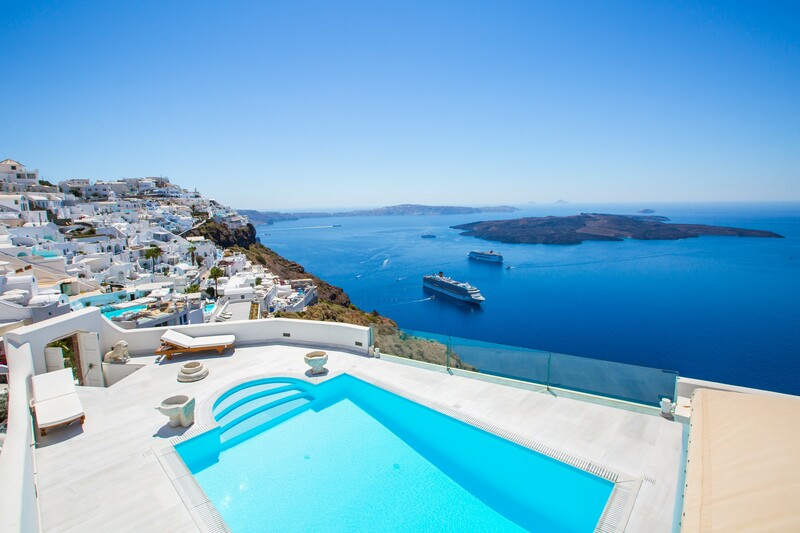 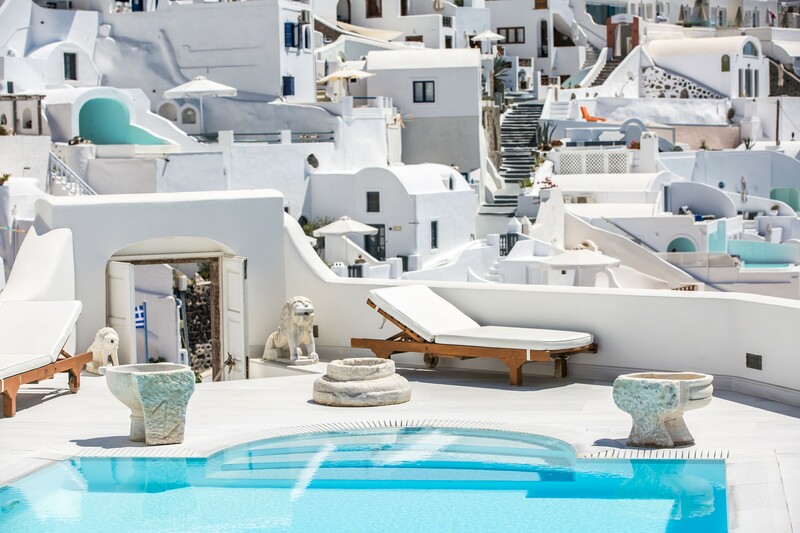 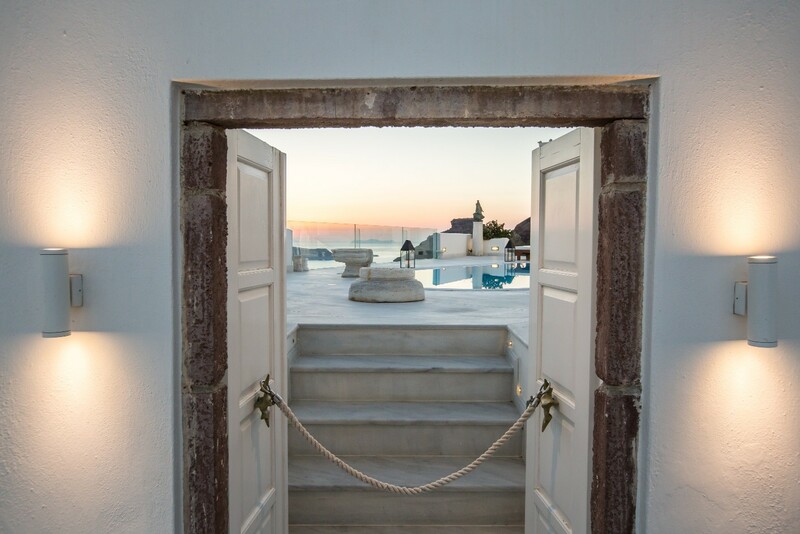 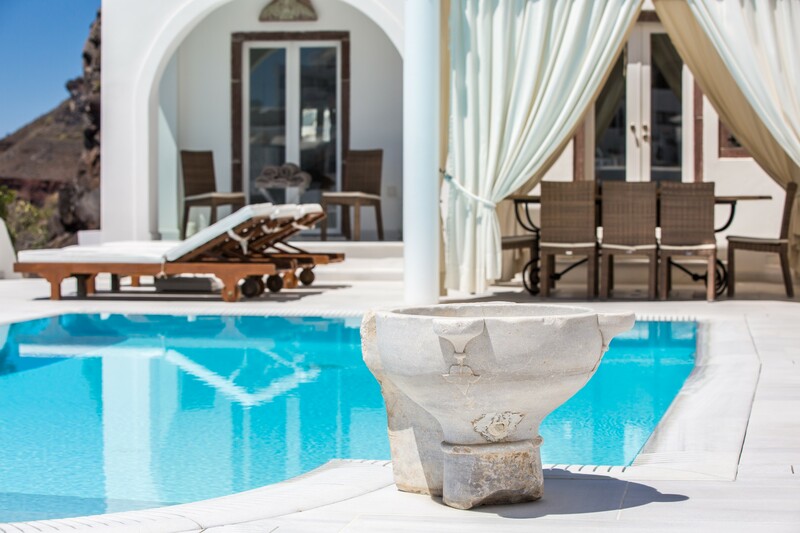 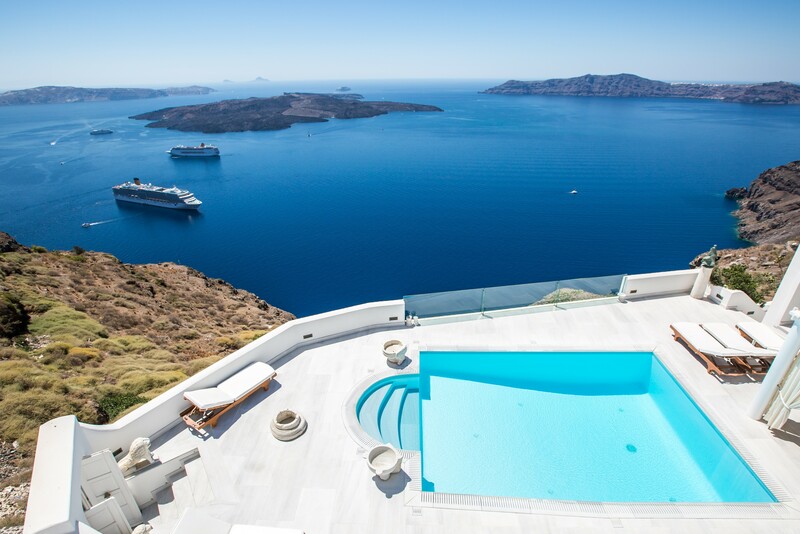 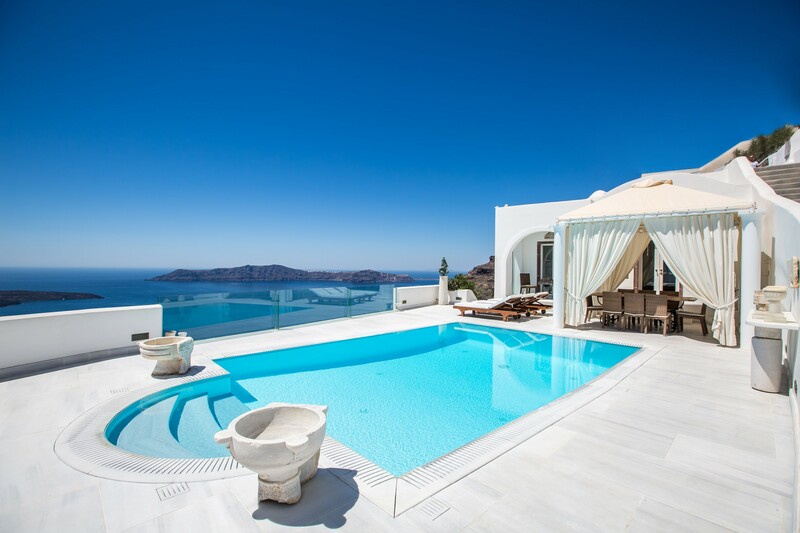 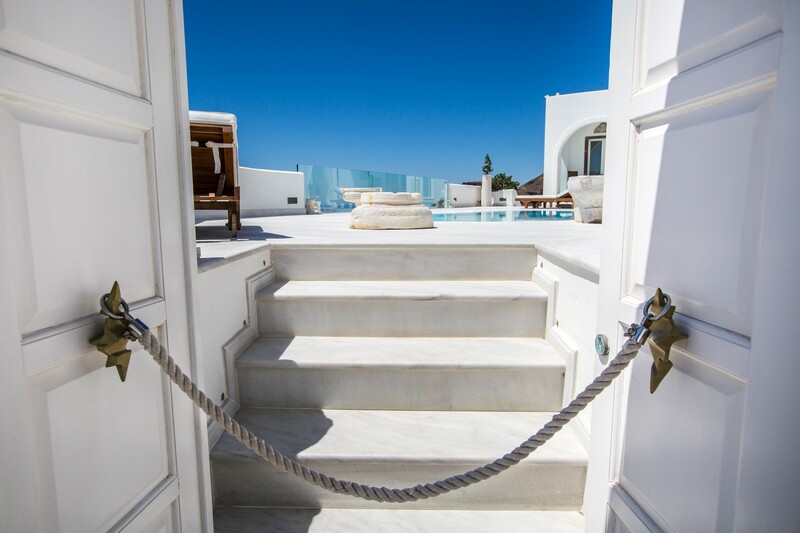 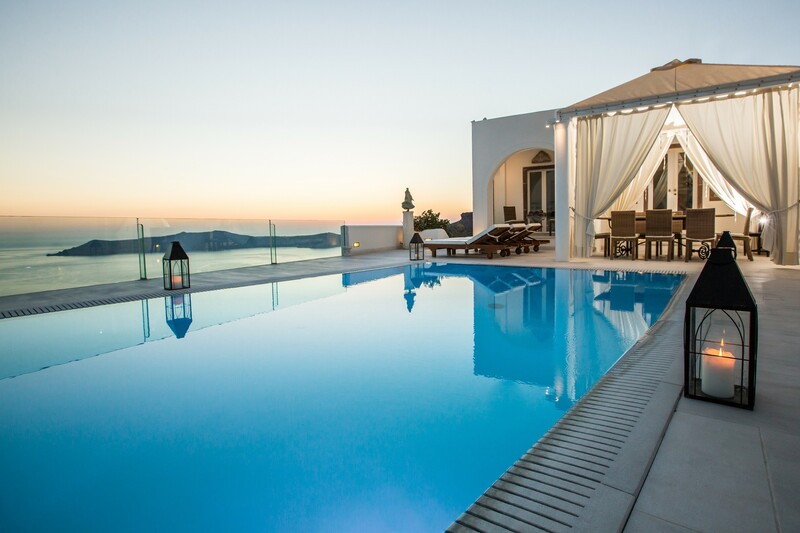 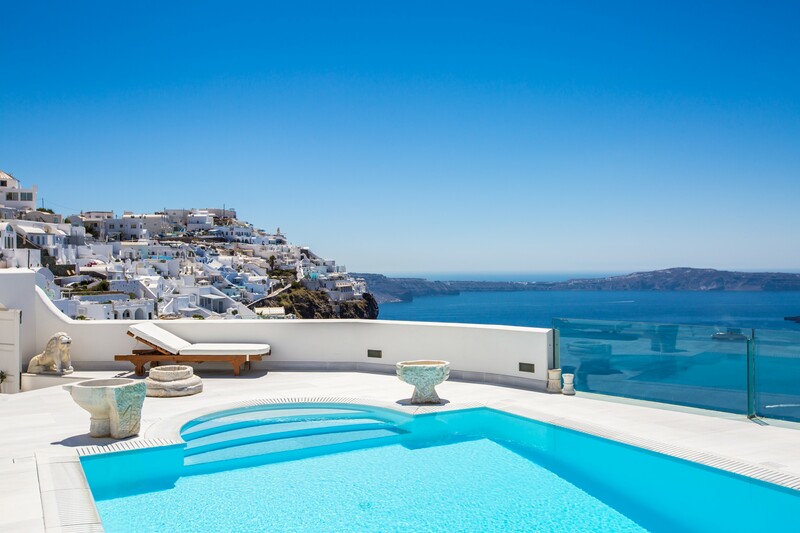 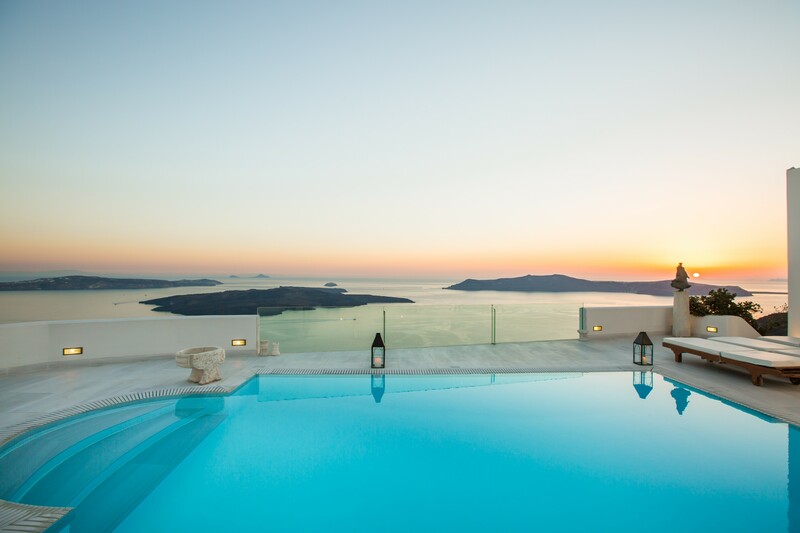 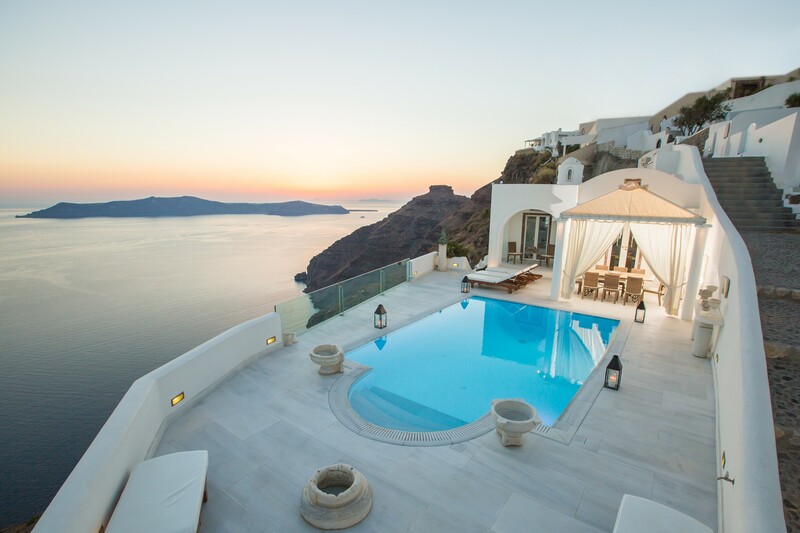 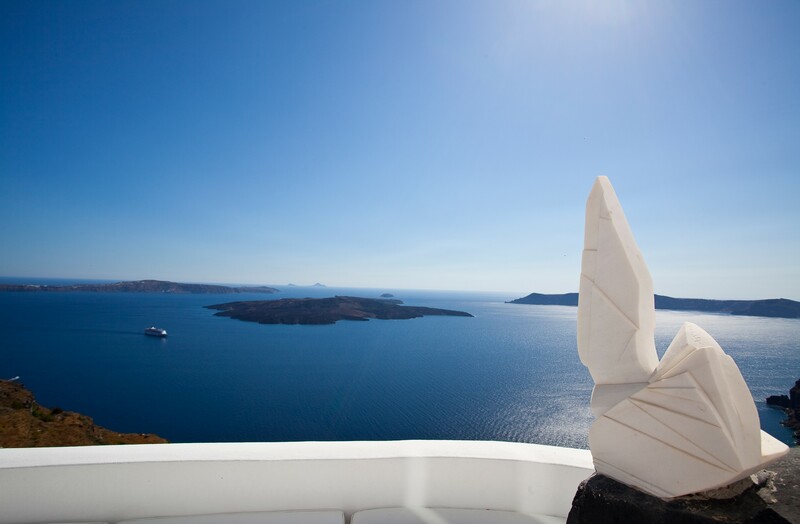 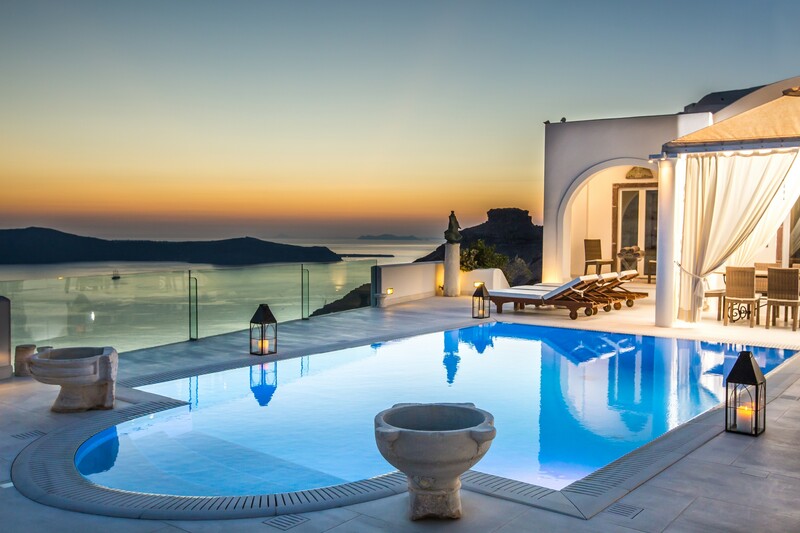 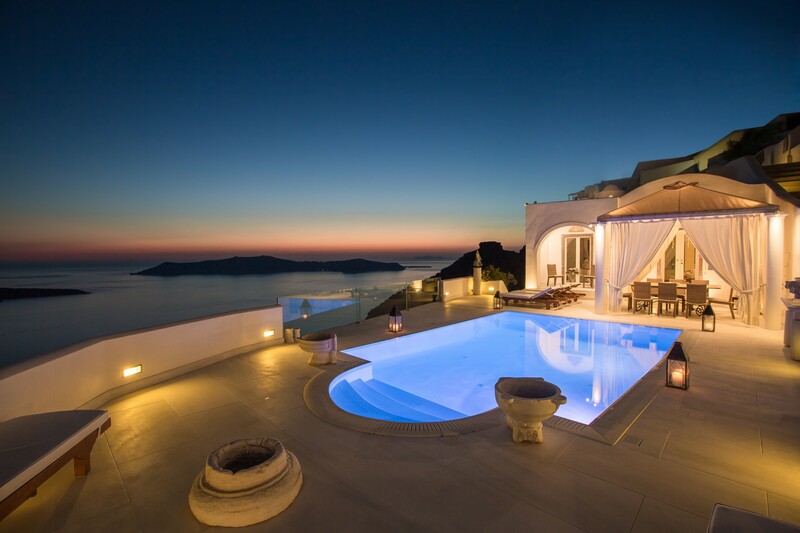 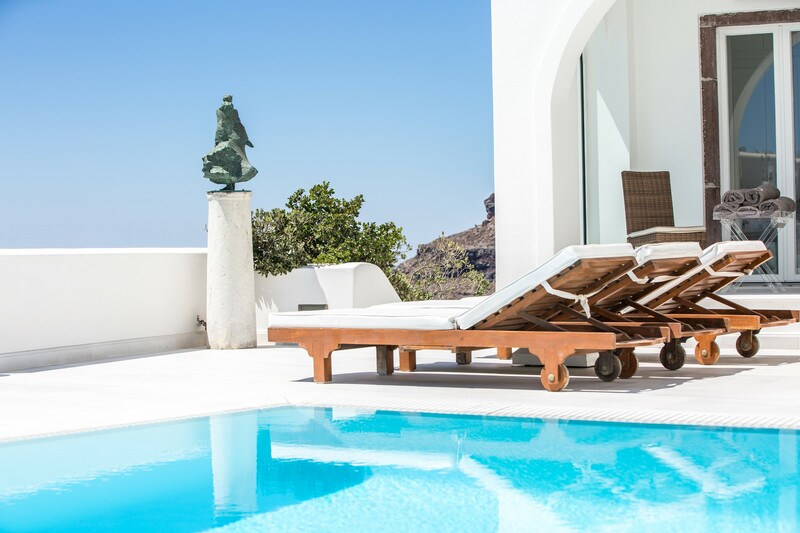 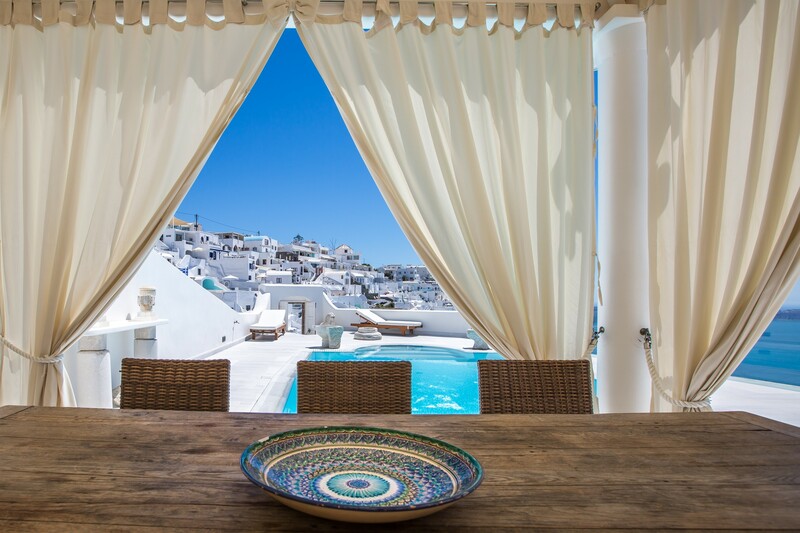 TC villa will be your private paradise in Santorini. 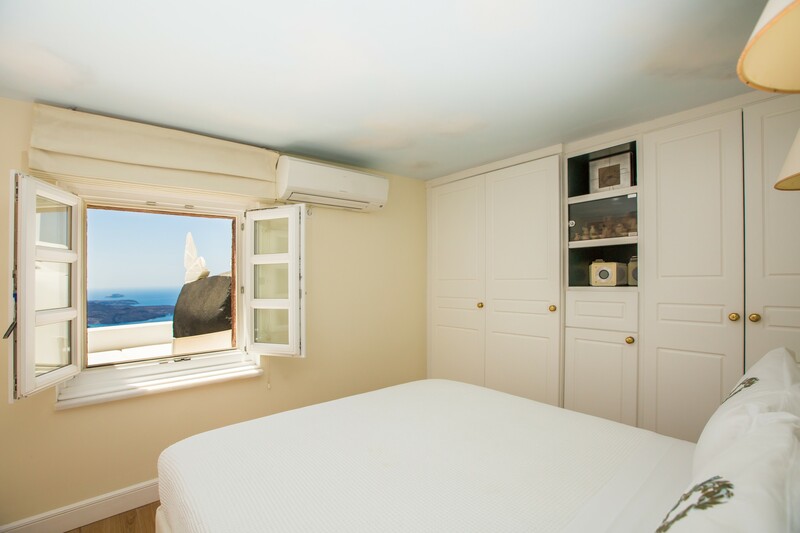 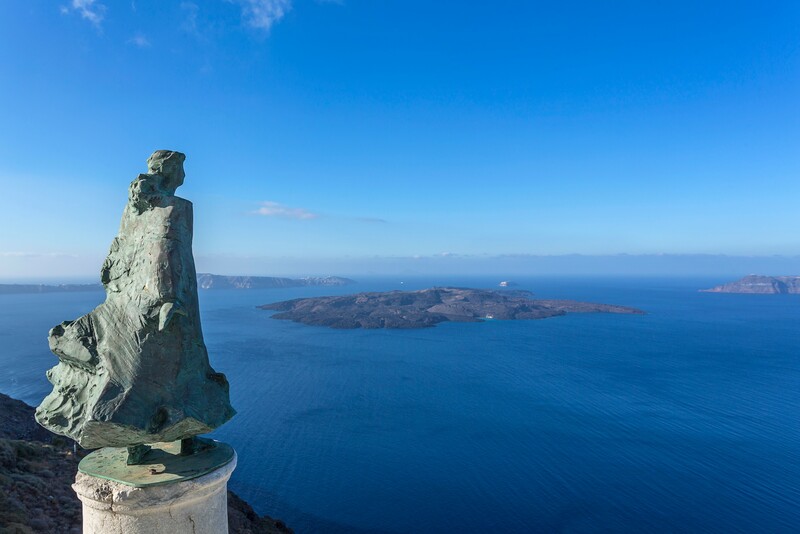 Located on the edge of the Caldera cliff, in Firostefani, it offers great view – for Instagram photos, you know – and is only 1.1 km from the heart of Fira town. 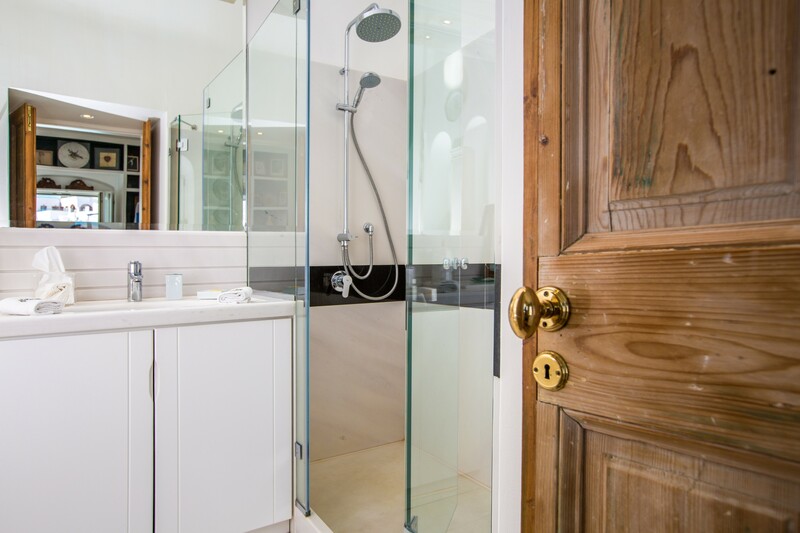 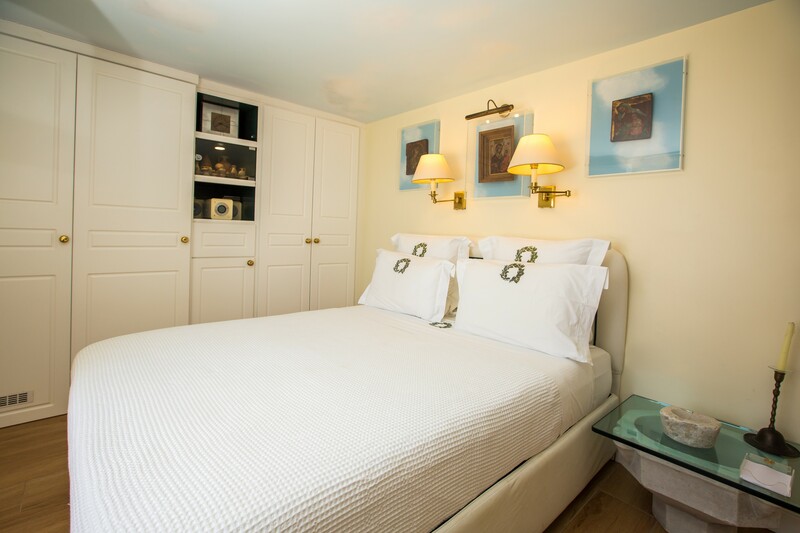 It sleeps 6 guests, so pick your best buddies or family and enjoy the ultimate relaxing experience. 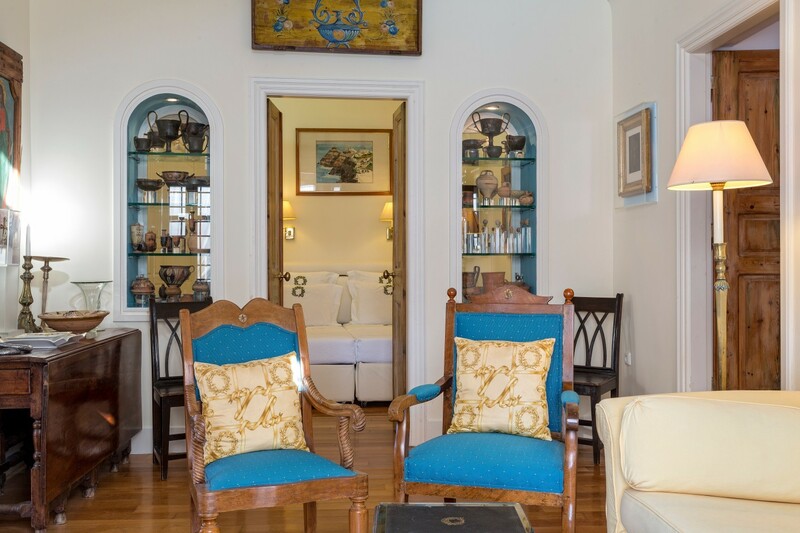 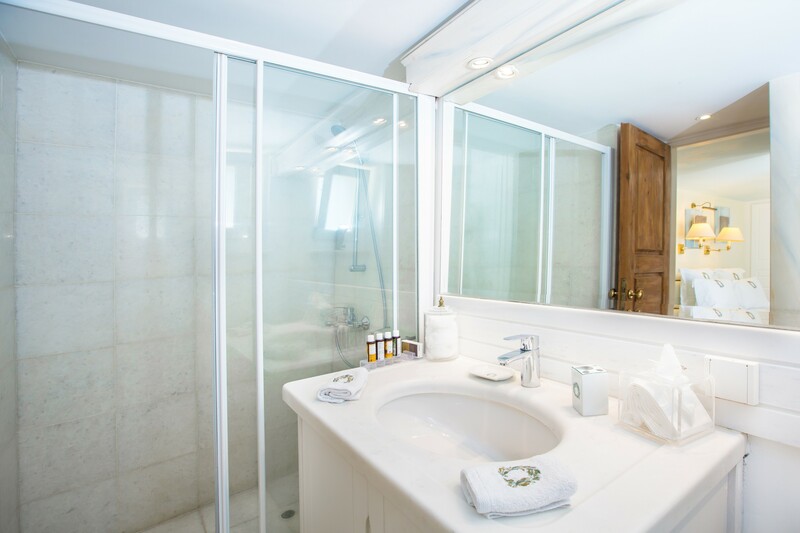 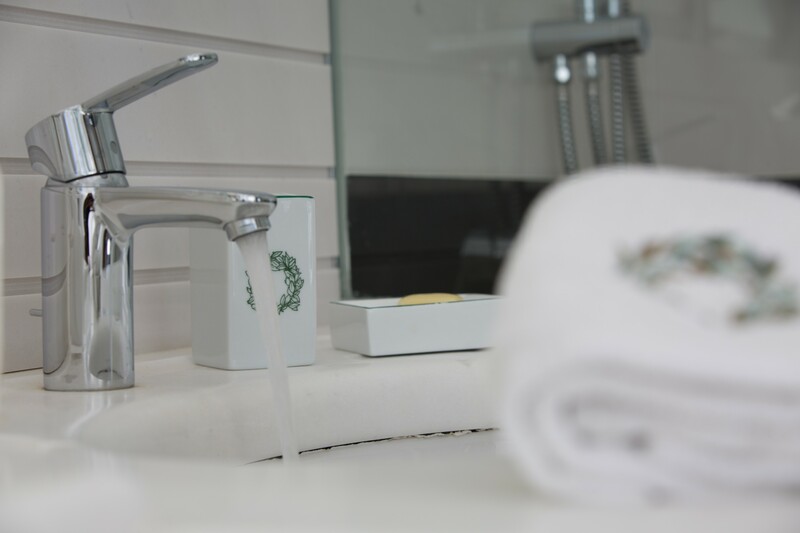 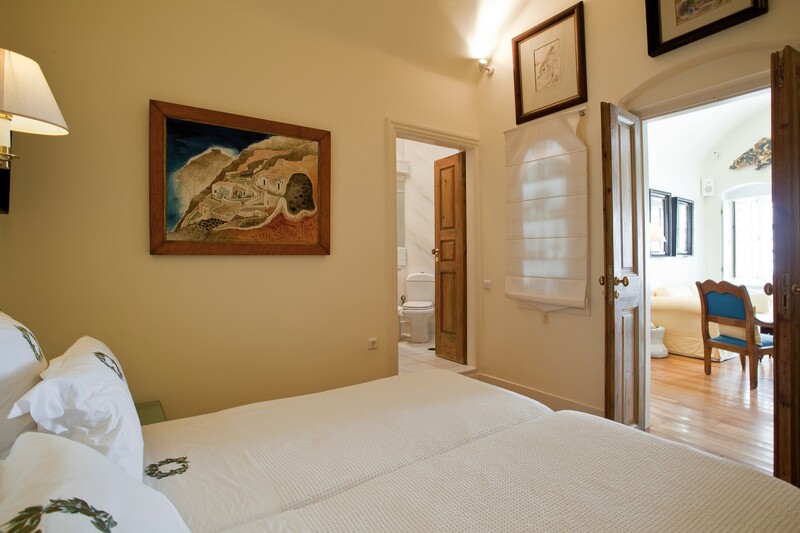 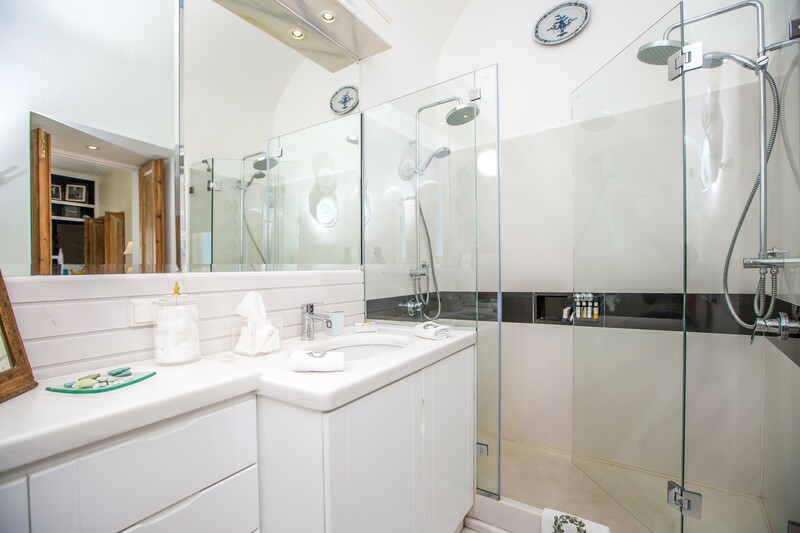 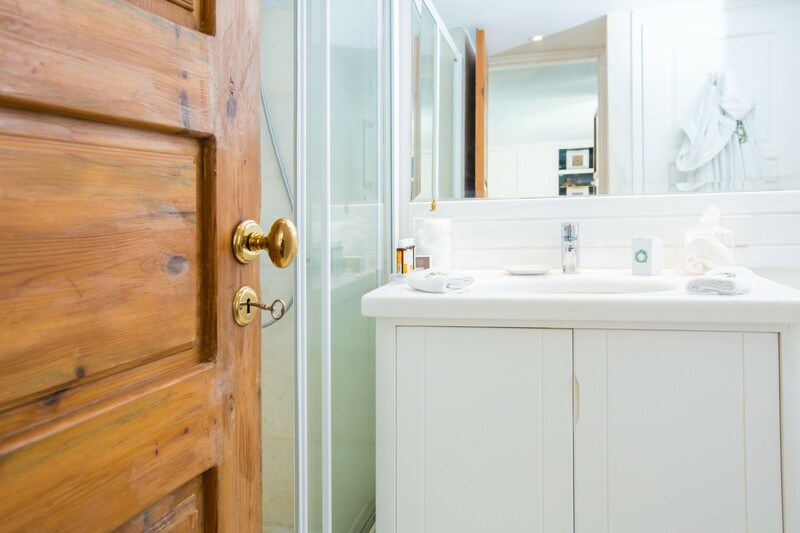 The villa has a cozy living room, a fully equipped kitchen and three bedrooms, each with its own bathroom, all carefully laid out to activate the feeling of comfort. 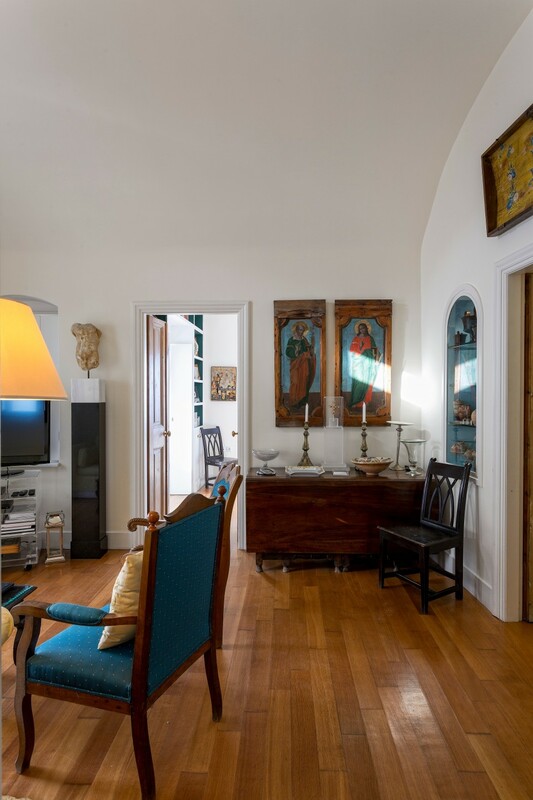 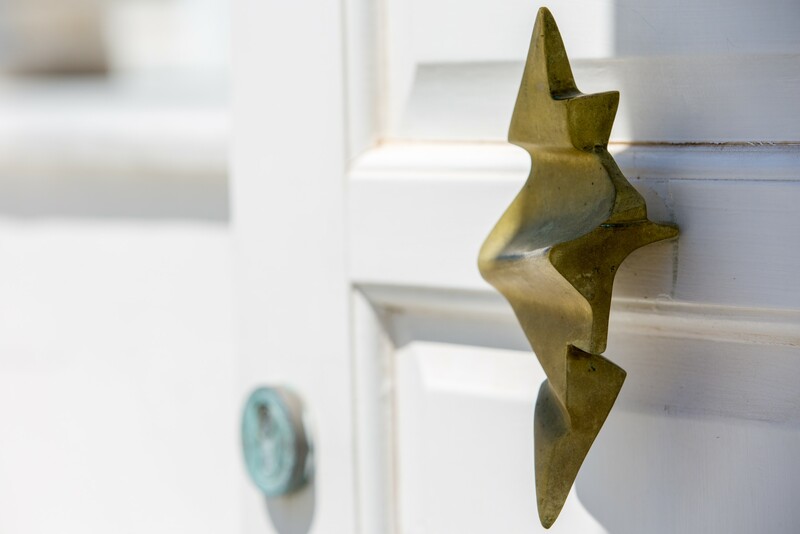 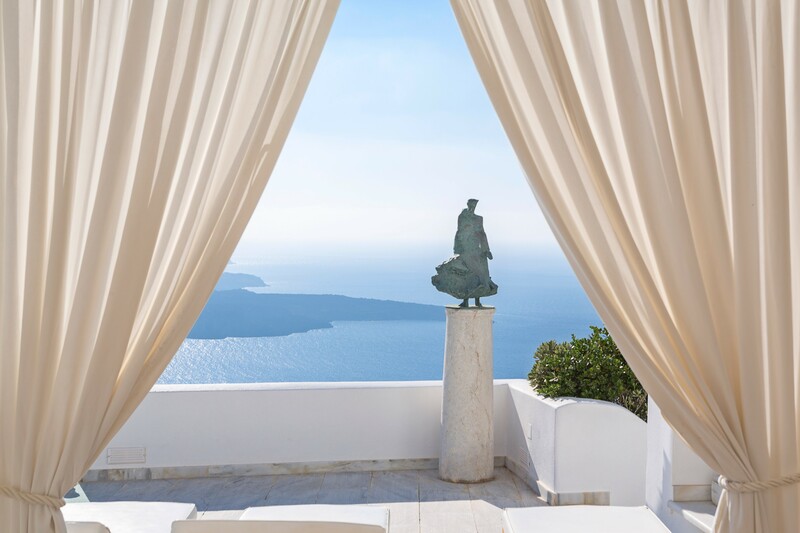 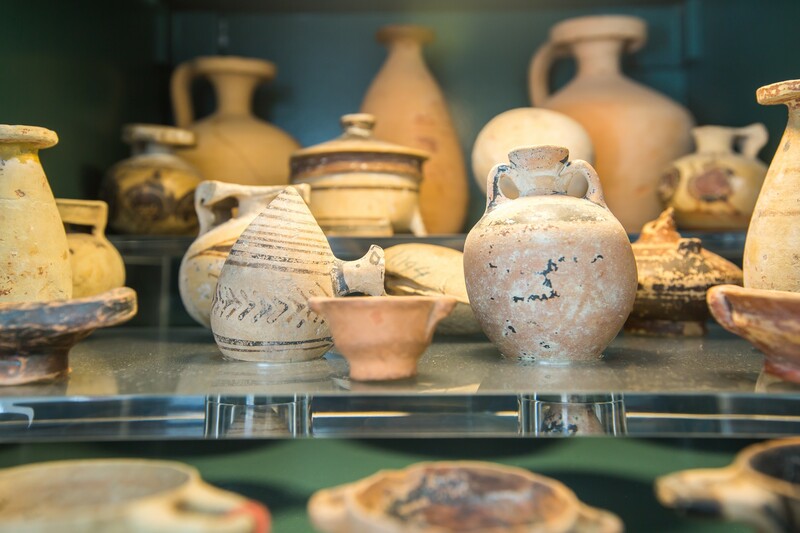 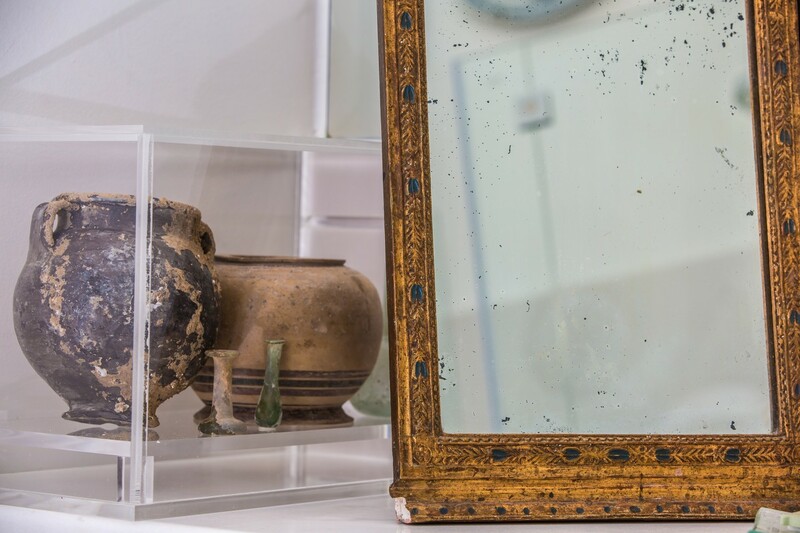 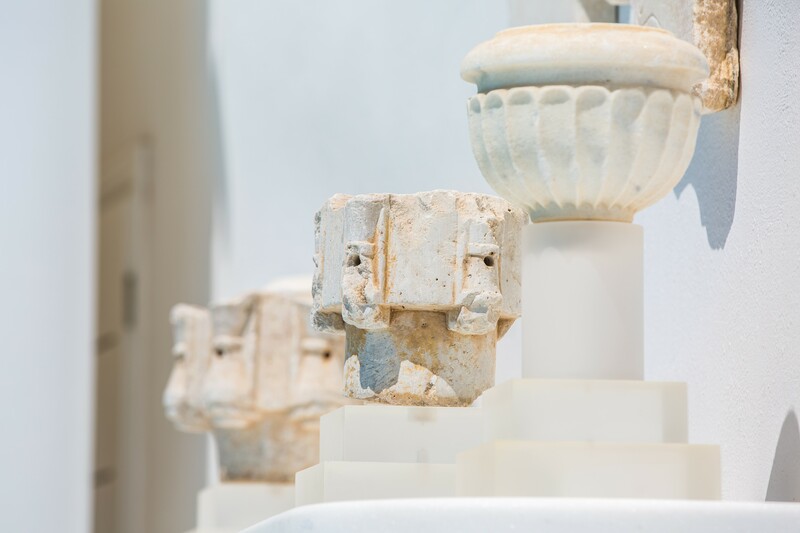 Works of art from the owner favorite periods – ancient Hellenic, Byzantine and Modern Greek – adorn the most unlikely corners, creating surprises everywhere. 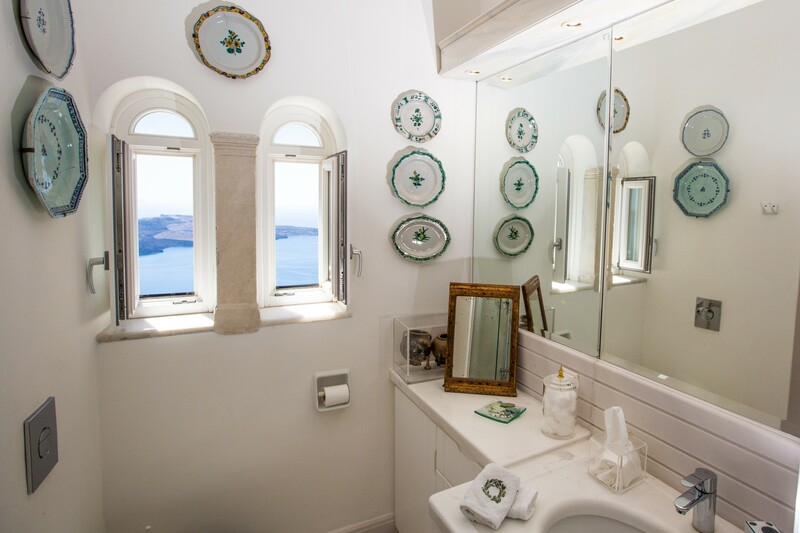 But enough with the interior! 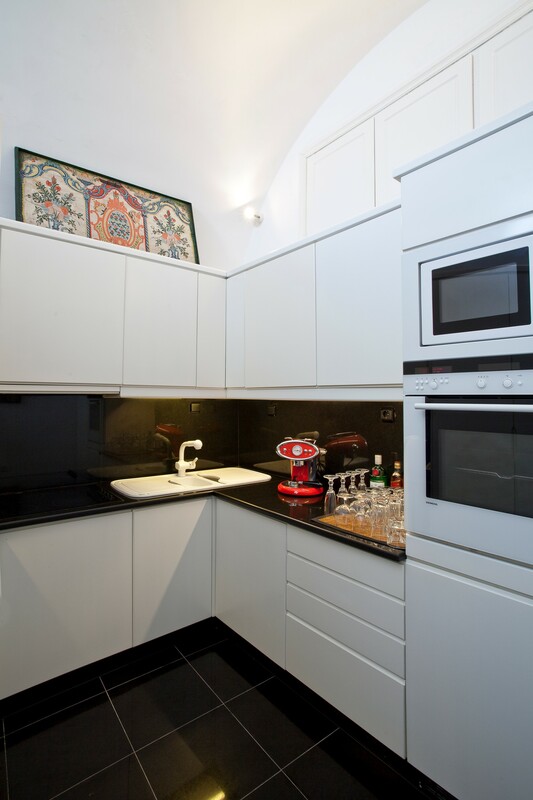 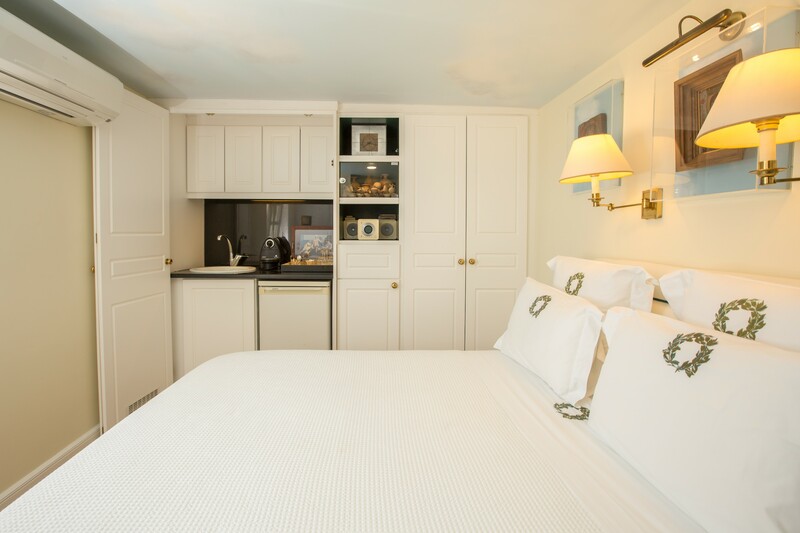 -Kitchen fully equipped with modern appliances. 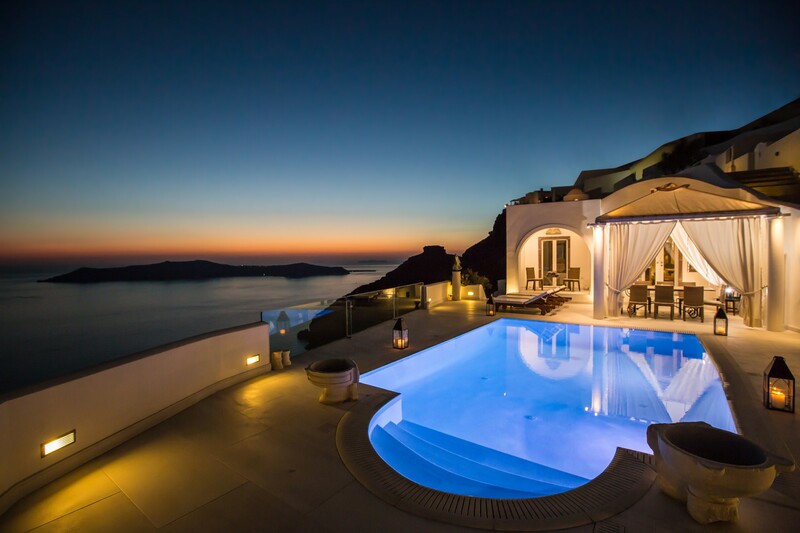 The private terrace is superb. 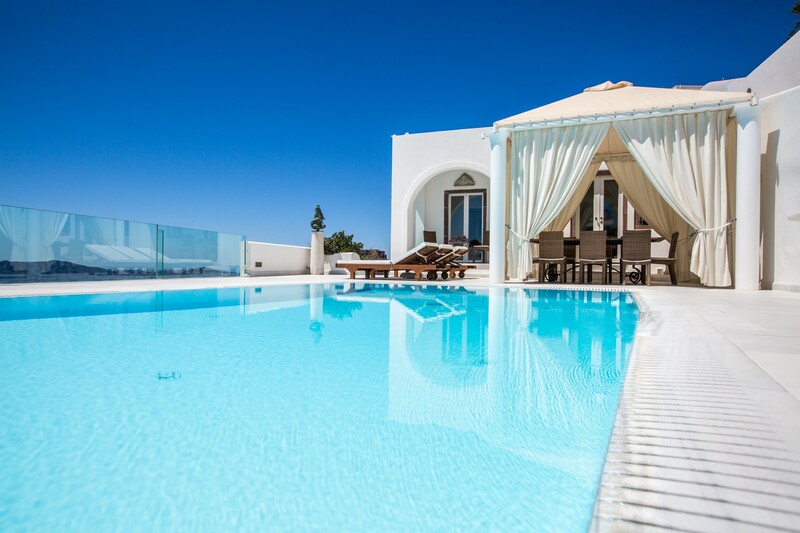 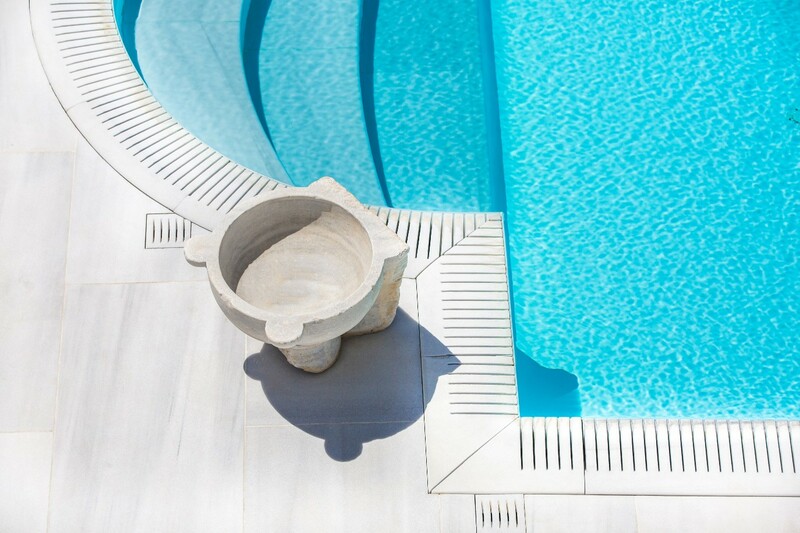 You can lounge on the sunbeds all day long and plunge in the pool for refreshing splashes. 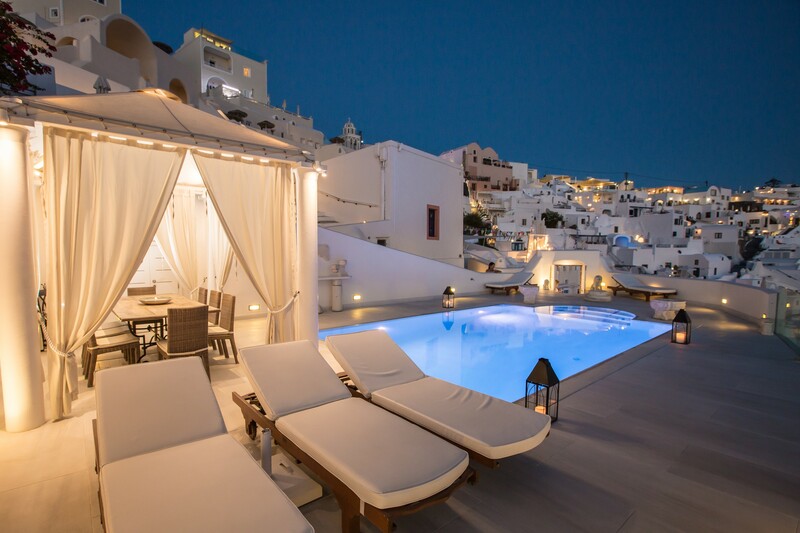 For those, who are not into suntans, the shaded pergola will be their favorite spot. 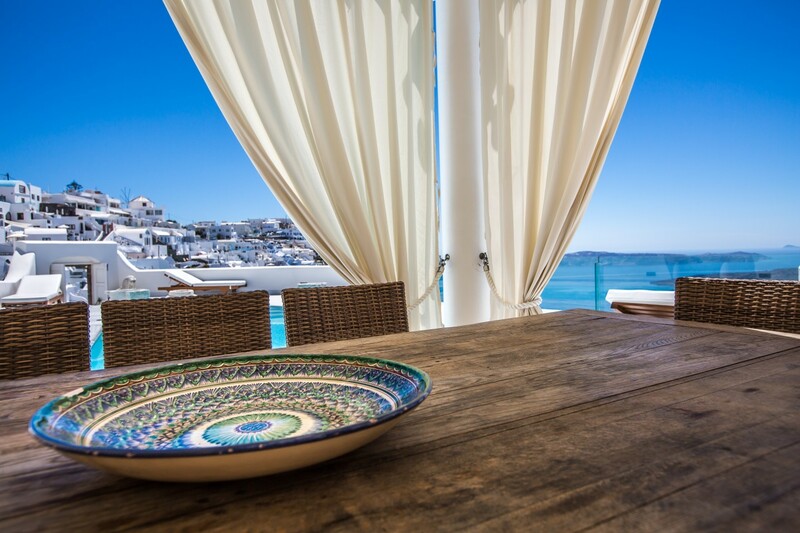 This is also the place to enjoy alfresco dinners after admiring the famous sunset! 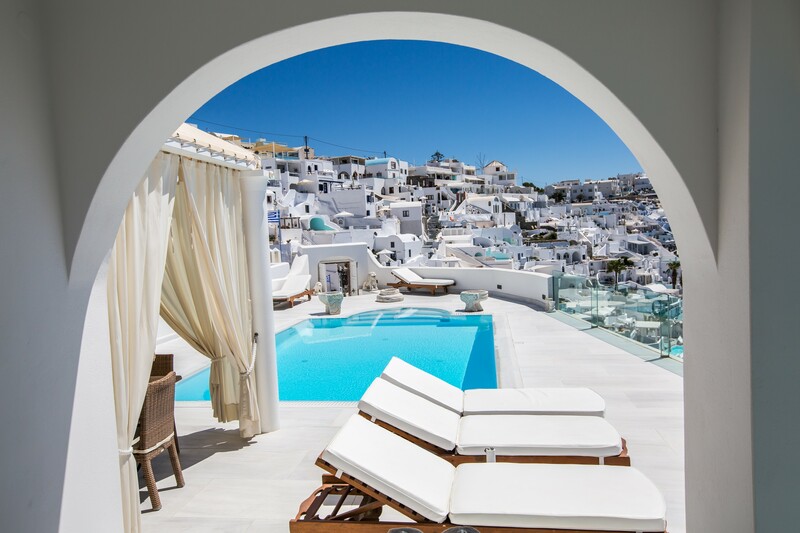 And what’s next? 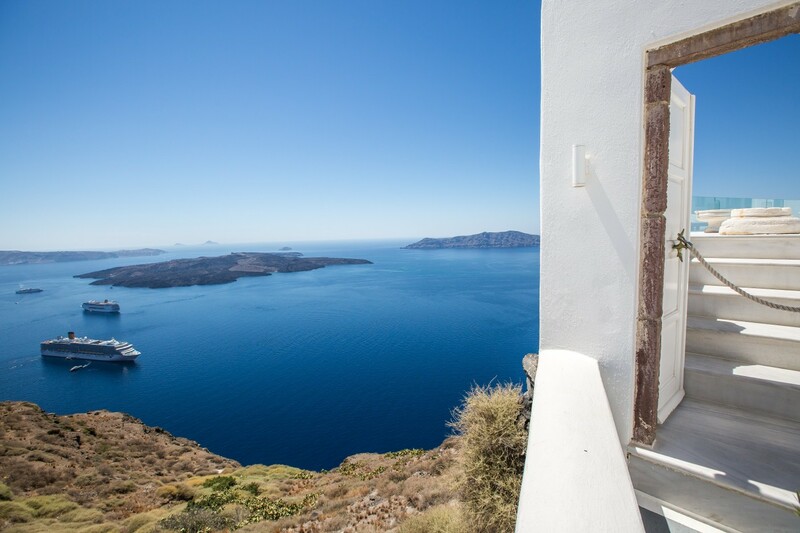 Prepare drinks from the mini bar or get ready to explore Fira and see the Greek nightlife for yourself.